Visit Us — Nakata Foods Co., Ltd.
Our headquarters houses our central office, main factory, brewing division, and also our factory store, self-guided factory tour, and art gallery. Our factory store is made from Kishu lumber. The new building was completed on March 30th, 2012, and its facilities include a large parking lot for tour buses, hygienic restrooms including a wheelchair accessible room, a rock garden and flowing stream, and tasting corners for umeboshi and umeshu where our customers can familiarize themselves with our products while enjoying the spacious and clean new store. 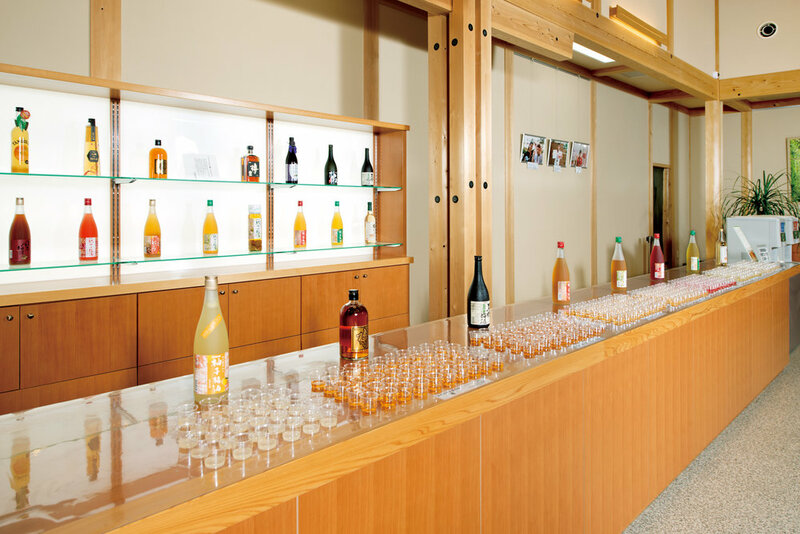 In the nearby factory building, customers can visit the Umekairo, an educational tour area with large viewing windows into our umeboshi factory, and our plum orchard with 17 varieties of trees. Both are open to the public, and you can request a staff member to accompany you if you would like a guide. 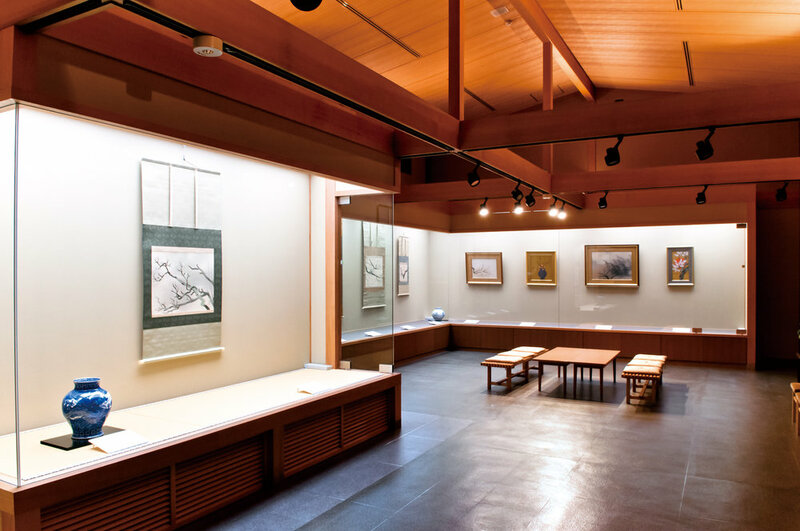 The former store location has been remodeled into a gallery, where ume-related artworks are displayed. The ume has been admired in Japan since ancient times for its flower, which blooms in the cold of winter and its fruit, useful in many ways, and that affection is celebrated in these artworks. Paintings, hanging scrolls, and pottery are all displayed here, and rotated often for your enjoyment. See our flavoring and packing divisions at work as you learn more about Wakayama, ume farming, and ume themselves. An English-speaking tour guide may be available for your tour.